Aviation safety and security is the top priority of the Government, Mr Joseph Kofi Adda, Aviation Minister has stated in Accra on Friday. He said air transportation was deemed safest, convenient and fastest means of movement of persons, materials, equipment and cargo. “It is also a catalyst for business growth, tourism, employment and economic development. The growth of international civil aviation operations continues to be a critical enabler and driver of global economic development,” Mr Adda said. Mr Adda, whose speech was read on his behalf at the launch of the 2019 Africa Security and Safety (ASAS) Awards, Conference and Expo in Accra, said according to the International Air Transport Association, it was estimated that the number of international passengers traveling by air would hit 7.8 billion per annum in 2036. He said therefore, sustaining the industry requires not only safety regulation but also robust security systems both on the ground and in the air. 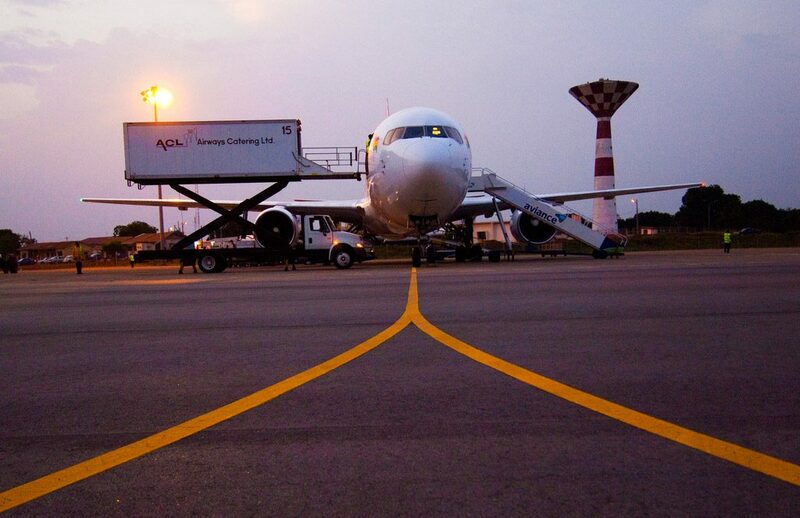 “Safety and Security is therefore a priority of the aviation sector. The threat to border security in recent times requires States to be proactive and vigilant to develop and apply effective, protective and reactive aviation security measures to meet the threat at the national and operational levels,” he said. Mr Adda pledged the support of the Ministry of Aviation towards the successful hosting of the ASAS Awards 2019 with the aim to assess opportunities in the areas of border, maritime and cyber security and intelligence, which are material to national security. He said in line with the vision to make Ghana an Aviation Hub within the Sub-Region, Ghana as a Member State of International Civil Aviation Organisation (ICAO) was not reneging on its responsibilities of ensuring a safe and secure aviation industry. He noted that at the National level, the Ministry was committed to providing an enabling environment for various industry stakeholders, the needed support for assistance for aviation security initiatives. Dr Albert Antwi Boasiako, National Cyber Security Advisor, said the idea of ASAS Awards, Conference and Expo was relevant in view of the current security dynamics in Africa. “Whether it is attacks by terrorists, money laundering or drug trafficking, these are big issues as far as our environment is concerned,” he said. “But there is an interesting development. Increasingly the cyber space has become the centre of gravity of criminal and other security issues. This development underpins the role of cyber security in national security,” he said. Mr Thomas Kwesi Quartey, Deputy Chairperson, African Union Commission, in a speech read on his behalf noted that, the promotion of peace and security was one of the foremost preoccupations of the African Union, as it forms the important basis for socioeconomic development. The 2019 ASAS Awards, Conference and Expo on the theme, “Advancing Africa Through Security and Safety Technology” was launched by Professor Aaron Mike Oquaye, the Speaker of Parliament. The Award, which is slated for May, is being organised under the auspices of the African Union (AU) with support from Government. It is a major continental reference event for operators in the security and safety industry. The 2019 Awards provides a platform for recognizing individuals and organisations that have played a leading role in the development of the security and safety sector while recognizing the highest standards.